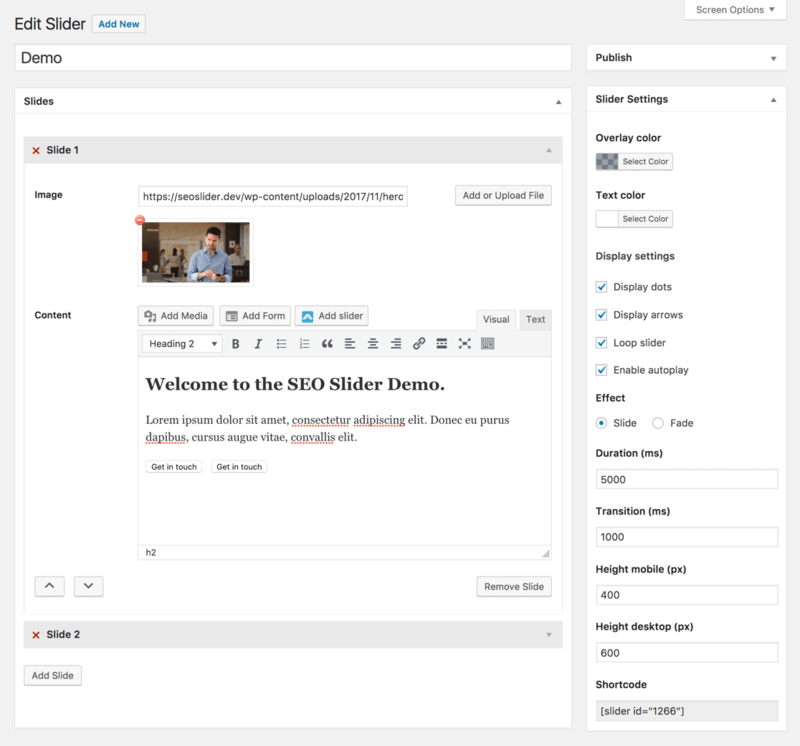 To create a Slider, first make sure that the SEO Slider plugin has been installed and activated. To create a new slide, click the Add Slide button. This creates a new slide with it's own Image field and Content field. The recommended image size is 1280px x 720px. 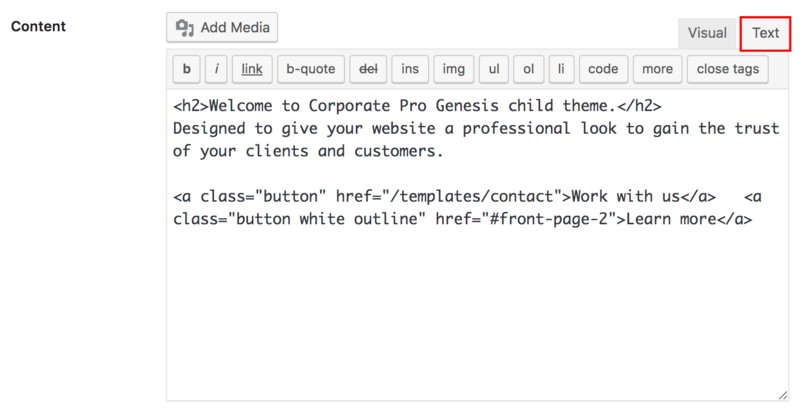 The Content field works the same way as the classic WordPress editor. 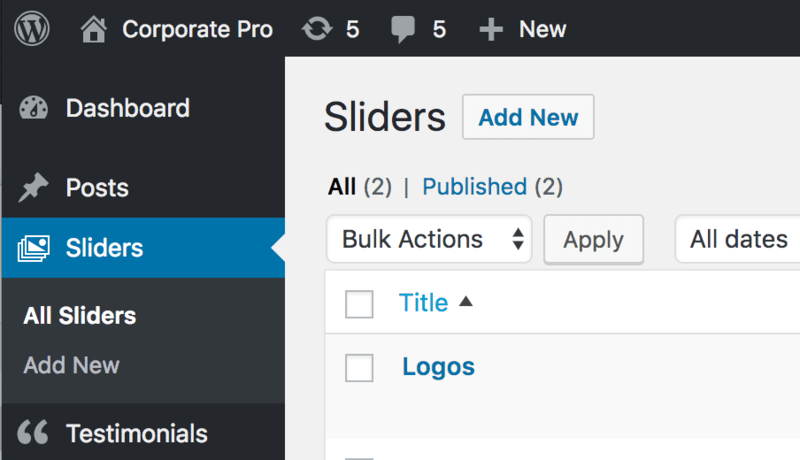 Sliders can be displayed with either a widget inside a widget area or with a shortcode. The shortcode for your slider can be found at the bottom of the Slider Settings section of the Edit Slider screen.